We're fully paid-up members of the Green Party and although I'll be the first to admit we certainly aren't as green as we could be, we do believe that if everyone makes small changes, together we can make a huge difference to our planet. 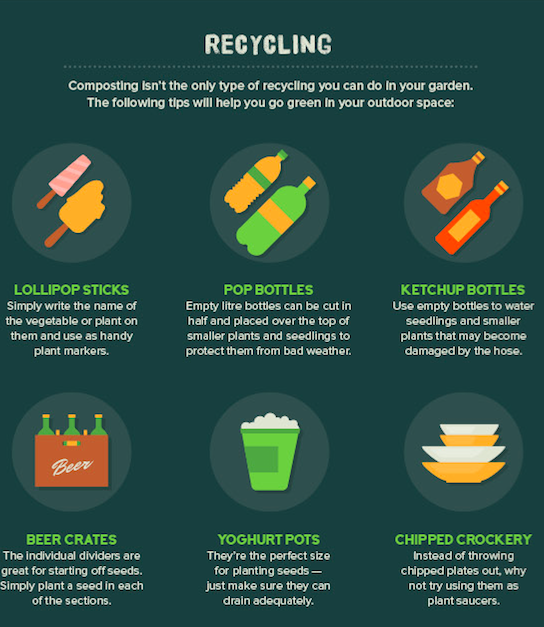 I just LOVE this infographic from Compost Direct that shares some of these small changes you can make to make your garden at home more eco-friendly. 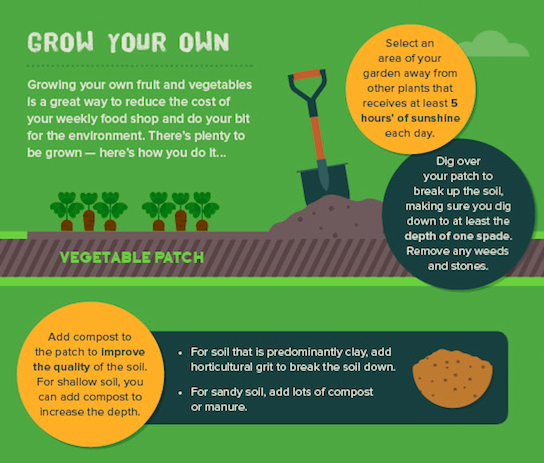 Click on the image at the bottom of this post to read the tips in full :-) We just have a small back yard but we are really keen to make the most of it, We manage to grow our own herbs now (which is super useful) but I would love to start growing our own veg too and will be putting these tips into action. Seriously, without getting too political, this cause is very important to me and I think we should all do our bit to help the environment where we can. 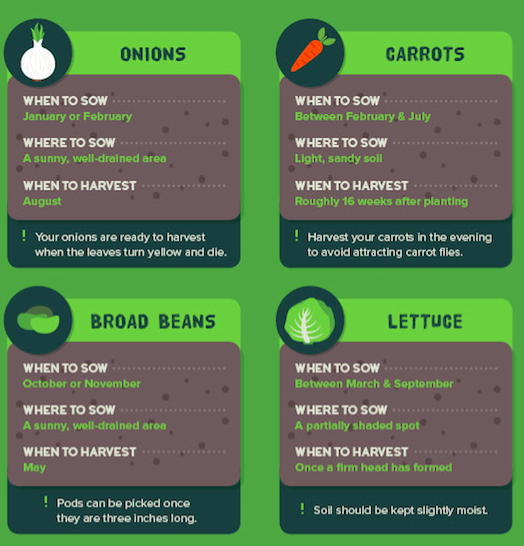 Let me know which is your favourite tip or if you have any advice for me when it comes to growing vegetables. You can see the full infographic below. Let me know your favourite tip (or any of your own) in comments. This is really helpful advice. 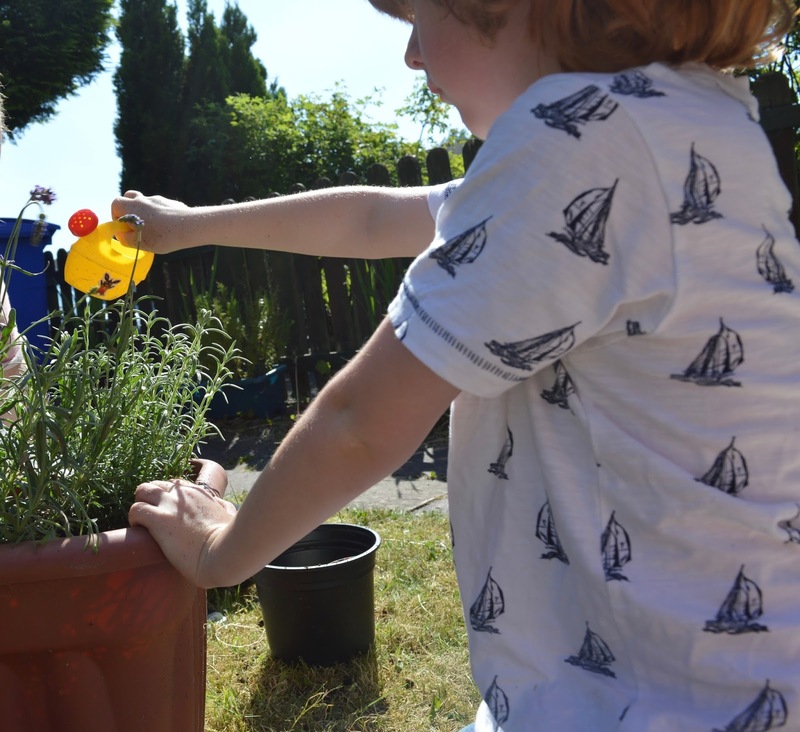 It's awesome that you're taking steps to be eco-friendly in your garden! 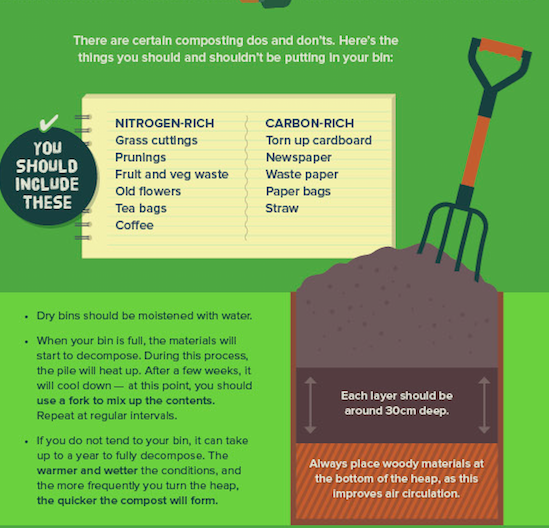 I'd love to start composting properly. I'm totally eco in my garden, I've just bought a bird feeder too and it's such fun watching the birds, I'm totally Dr Dolittle with the pigeons, I have chats with them and everything. I used to be Green party but then I defected and joined the Labour party because I'm a Corbinista at heart. Still love the Greens though!